Guests do not need to be experienced cyclists to enjoy our tours. Each tour is carefully designed to recognize, welcome, and encourage the varying skills and interests of each rider. Beginner, intermediate, and advanced trails are available. This activity is sheduled on the rotation schedule which is sent out 30 days prior to each group’s arrival and after last payment is received. The schedule will allow up to 16 riders per tour. Our skilled tour guides will lead guests on an adventure to experience. 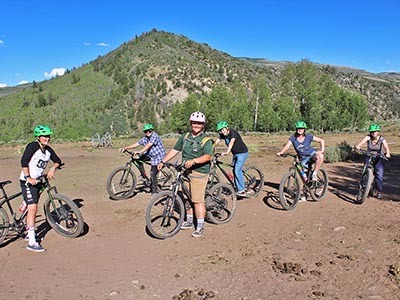 We hope your group will take advantage of this fun activity while enjoying the great outdoors during your stay at Reid Ranch.